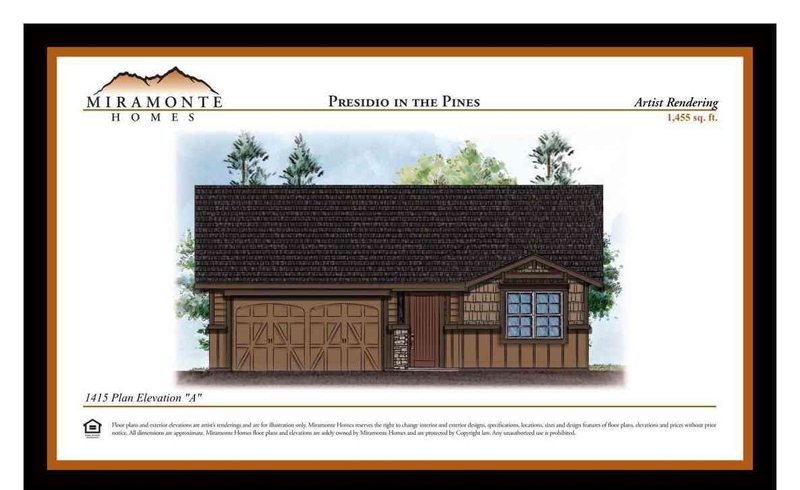 Property Description Magnificently designed and amply appointed 3 bedroom/2 bath SINGLE LEVEL home to be built by Miramonte Homes! Split floor plan with generous sized master & living spaces. This plan has options (on some lots) to expand the master bedroom and great room even more, to create a 1575 square foot home! All Miramonte Homes' floor plans come with Clare Control Home Automation prewiring, recirculating hot water pumps for quick hot water, 9' ceilings & 8' doors throughout, Low E Glass Windows, Energy Efficient Appliances, 42 '' Maple or Oak Cabinetry in the Kitchens, Gutters, Irrigation Drip System, Covered Patio Pavered Front and Rear Porches & Patios. Price listed is for 3 bedroom Base Price only. Lot premium will apply. Buyer has the choice to add options, if desired, which will increase price. Listing Agent: Colleen M Politi 928-699-0727 Photos depict similar completed homes & may not represent the lowest-priced homes in the community. SEE STRUCTURE & FLOORPLAN TAB FOR SPECIFIC LOTS AND PRICING.